The Board of Commissioners discussed making exceptions to local ordinances at the Tuesday, Sept. 26 meeting in Borough Hall. At their Tuesday, Sept. 26 meeting, borough commissioners engaged in discussions with residents about making exceptions to local laws. During public comments, resident Bryan Cottrell discussed an ordinance adopted in August requiring construction fencing to protect borough-owned trees. Under the ordinance, borough trees whose critical root zone falls within the construction zone must be protected during construction. Cottrell said construction work to add a small addition onto his home started approximately a week ago. He said he understood the ordinance and understood a tree fence is required. However, the day construction started, Cottrell was shocked to find the borough was requiring a fence that spanned almost the entire width of the front of his property. In light of the fact that the tree is dying, Cottrell said he’s contacted the borough to have it removed several times and was vaguely told he’s on a list to do so. For that reason, Cottrell wondered why he was being forced to protect a tree that is already dead. The tree fence left Cottrell’s construction team unable to put a dumpster in the street and forced them to put it in his driveway. He said with the tree fence blocking his front sidewalk and the dumpster blocking the majority of his driveway, he and his contractor’s team have had to walk on his neighbor’s lawn. Commissioner John Moscatelli said the borough has been dealing with bacterial leaf scorch and ash yellows killing borough trees, which has resulted in a backlog of trees to be removed. He said he would have expected the Shade Tree Commission to coordinate with the borough’s construction office regarding trees slated to be removed. Moscatelli assured Cottrell he would he would speak with community development director Steve Walko about getting someone out to take a look at the tree. In line with asking for an exception to local laws, Denise Jonasz, owner of Pure Couture on Mechanic Street, said she recently paid a ticket for placing a sign for her business on Kings Highway. She said local bylaws state signs for a business must be directly in front of the business, but the sign along Kings Highway has helped bolster her business. She said customers usually tell her they found the shop by a referral, by parking in the nearby parking lot or via the sign on Kings Highway. She said she looked into it and there is no permit to place a sign along Kings Highway. For that reason, she asked the commissioners if there was any way to make an exception to the current bylaws. • Commissioners passed an ordinance on first reading in response to abandoned houses in town. Rochford said the ordinance allows the borough to take possession of abandoned properties that banks fail to maintain. He said the ordinance allows the borough to do maintenance and then sell the property and get reimbursed. However, Rochford said the hope is the borough will not have have to go through that entire process, but rather that the ordinance will motivate banks to take property maintenance seriously and get them putting houses back on the market more quickly than they had in the past. Moscatelli said the ordinance was inspired largely by a similar ordinance passed in the neighboring town of Collingswood. 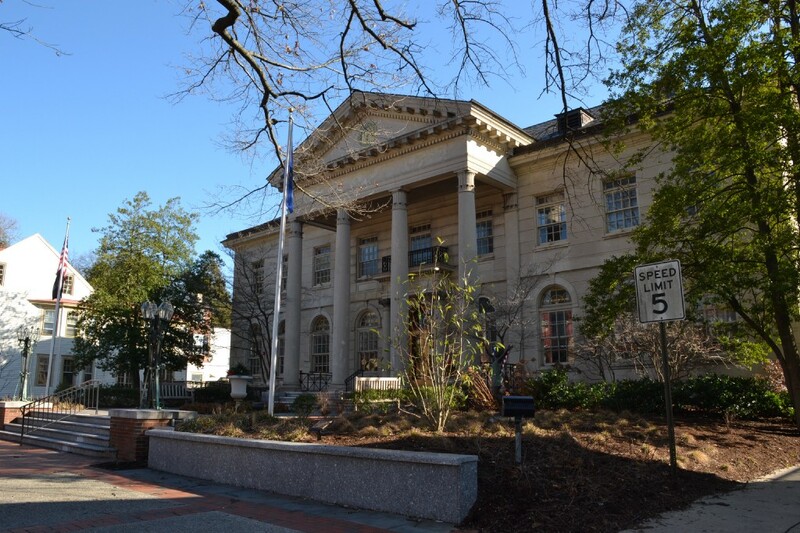 • Commissioners also passed an ordinance on first reading amending the borough’s codes on vehicles and traffic to account for a local parking change due to construction at Haddonfield Memorial High School. • Both ordinances will be up for second reading at the next Board of Commissioners meeting, which will take place on Tuesday, Oct. 10 at 7 p.m. in Borough Hall.